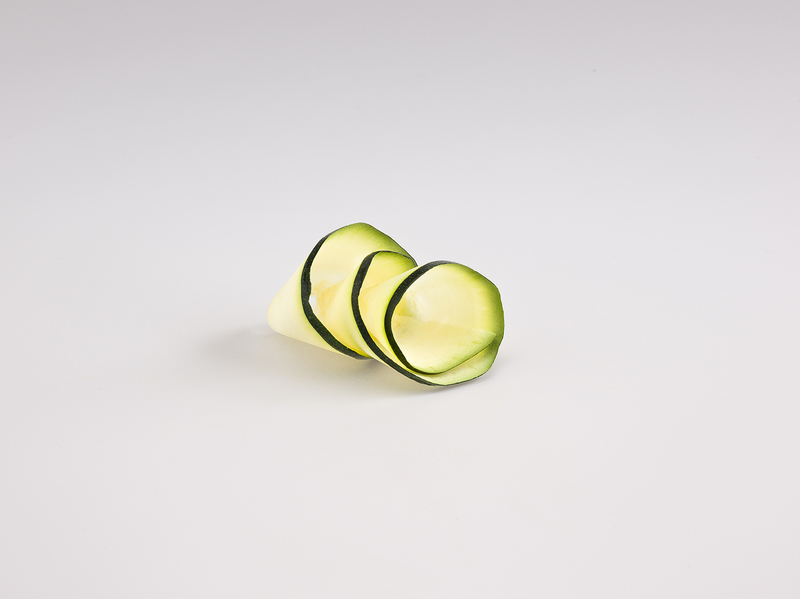 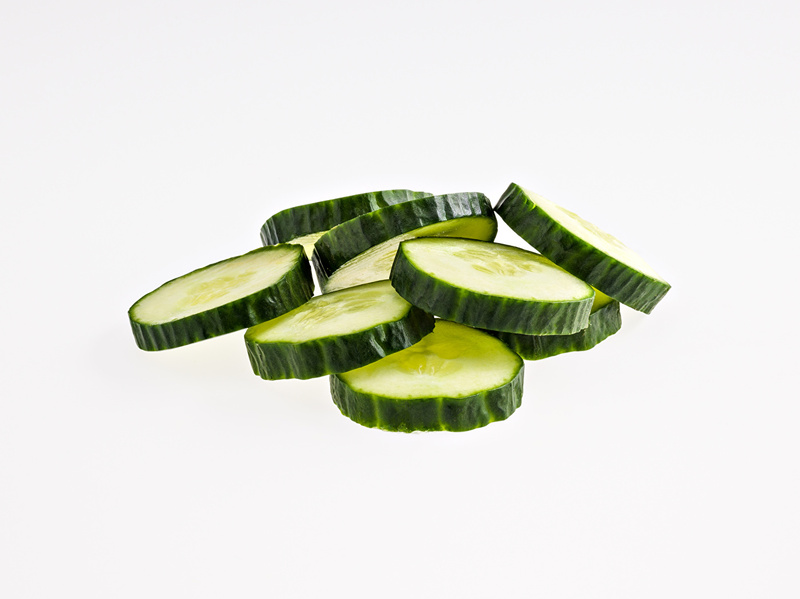 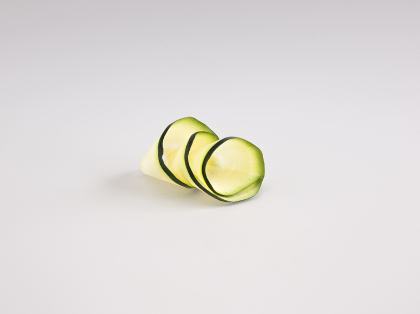 A multipurpose gadget that let you cut Julienne Spiral Strips of firm vegetables. 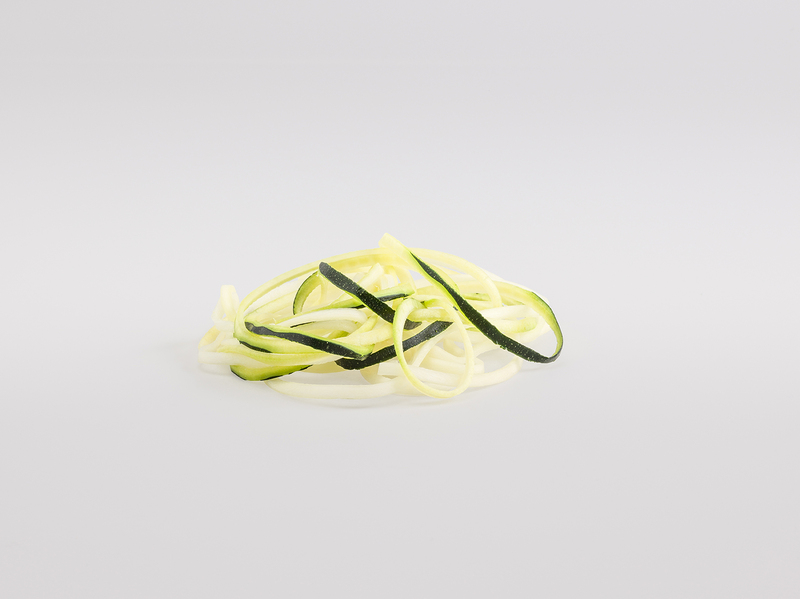 Great for salad, veggie noodles & more. 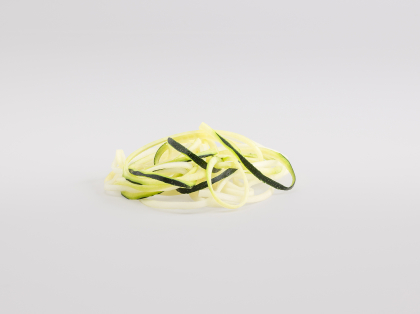 Create three different sizes of vegetable noodles in uniform spirals, effortless! 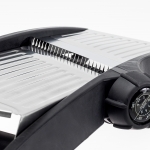 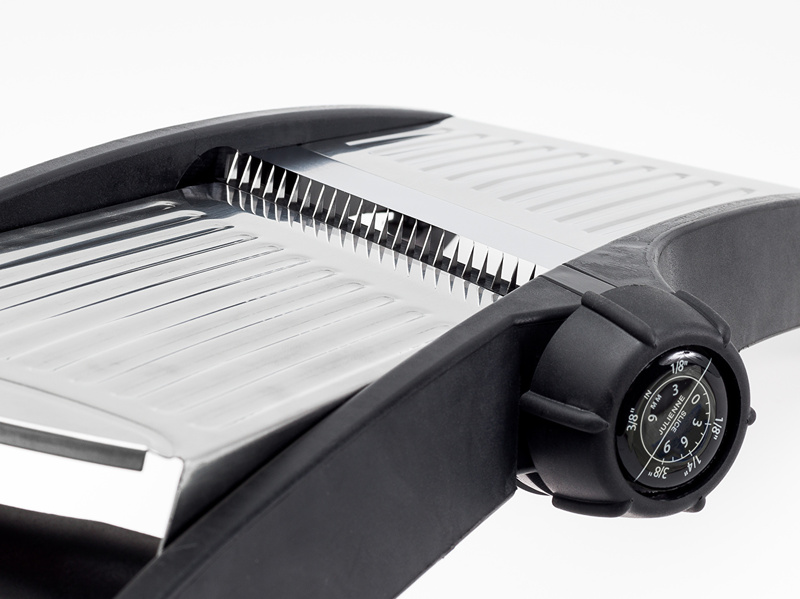 Food slicer that features 3 separate chambers for cutting. 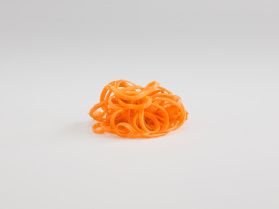 1/8” (3 mm) Spaghetti, 1/4” (6 mm) Fettuccini, or Flat Ribbon for Wider Pasta. A 3-in-1 handheld device that requires no complex instructions. 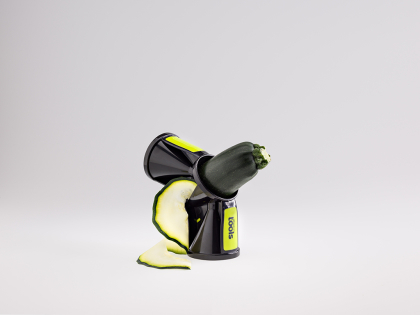 Just insert veggie, apply the finger guard and twist through the desired blade. 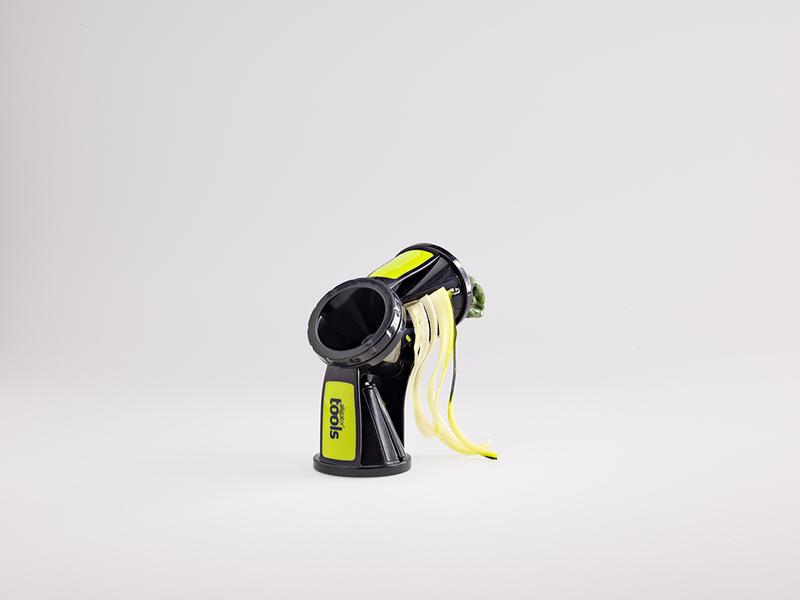 The tripple cone design makes it easy to select the right slicer for your task. 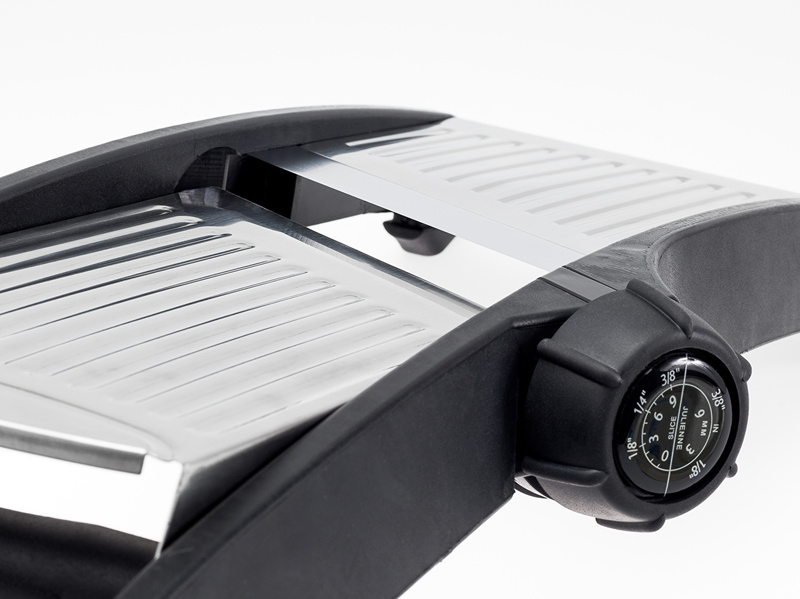 Sharp stainless steel blades make sure you get the perfect slice every time. 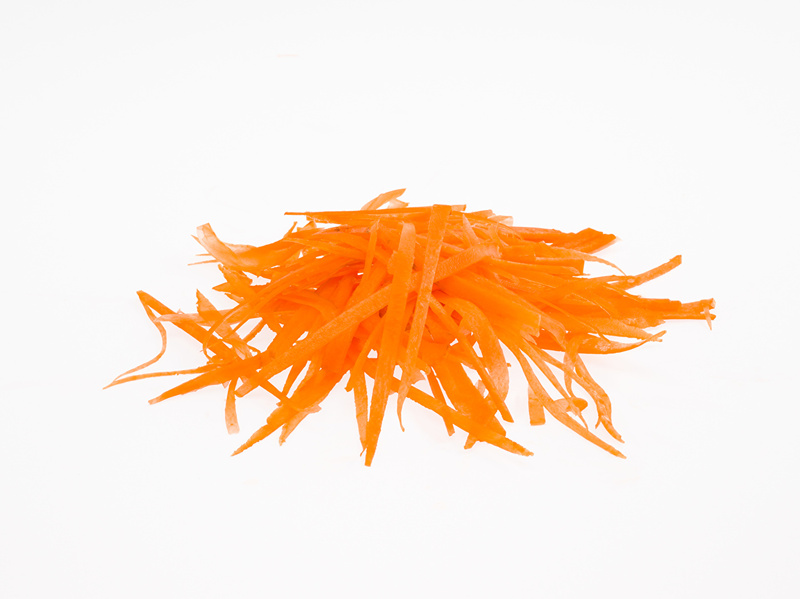 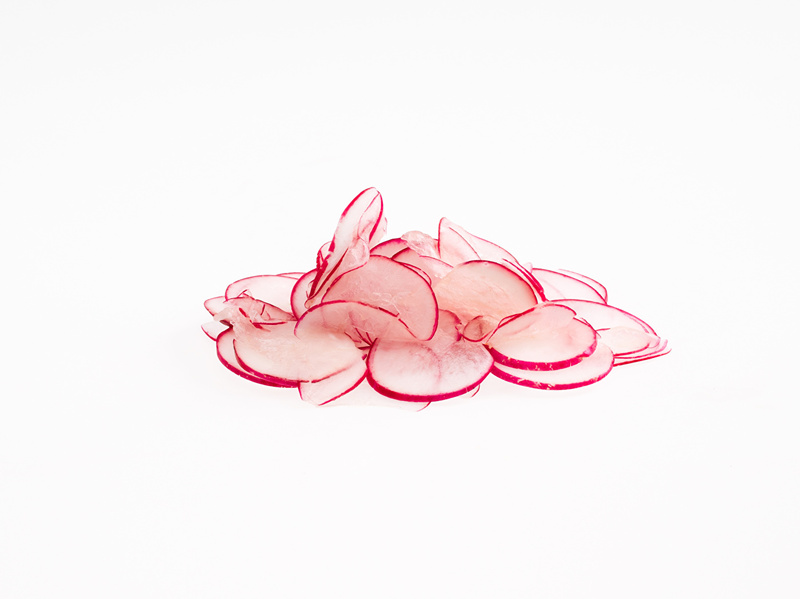 Make the perfect twists, twirls, strands and slices. 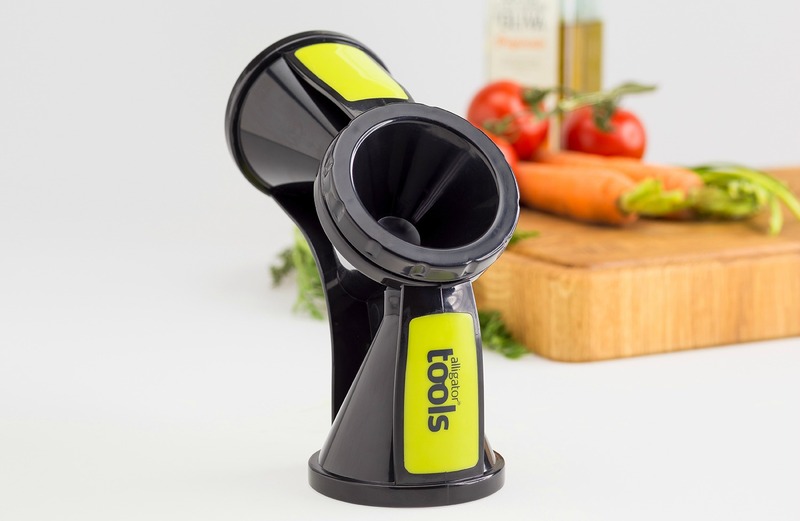 The pencil sharpener style spiralizer is a quick and easy way to create great garnisches, veggie pasta and stylish salads. 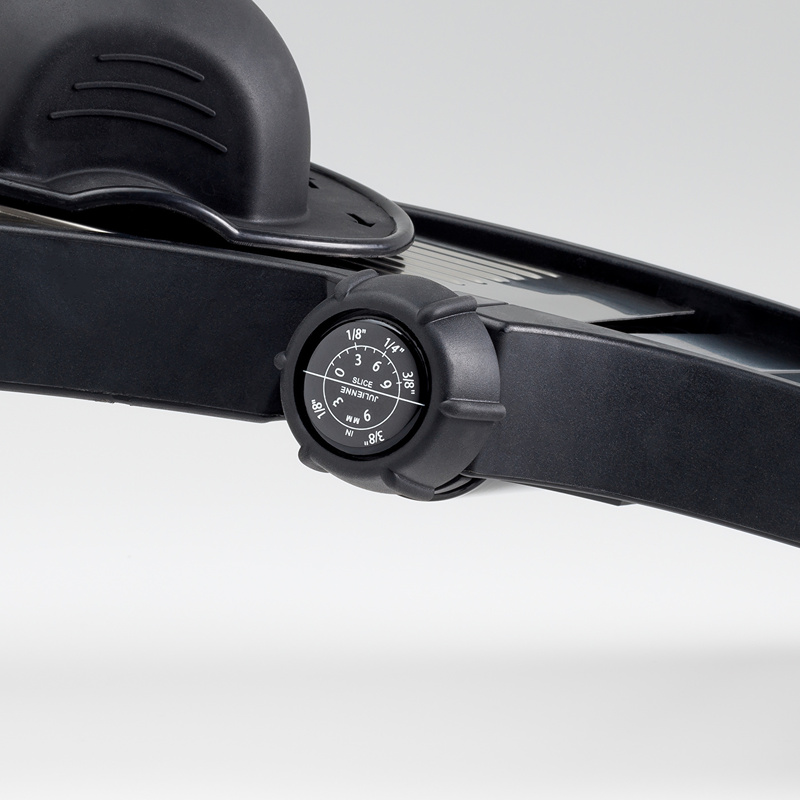 Adjustable slice thickness from 1 to 9mm. 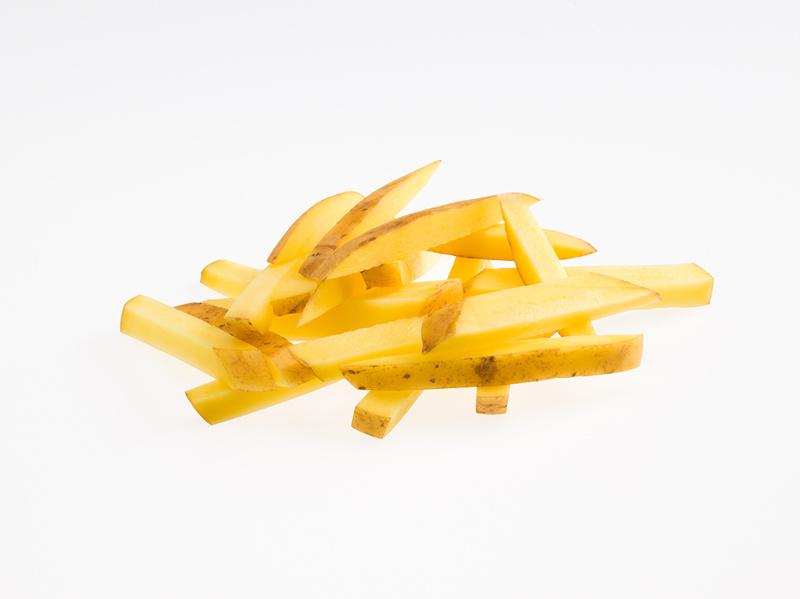 3 and 9 mm mm Julienne Cut & French Fries. 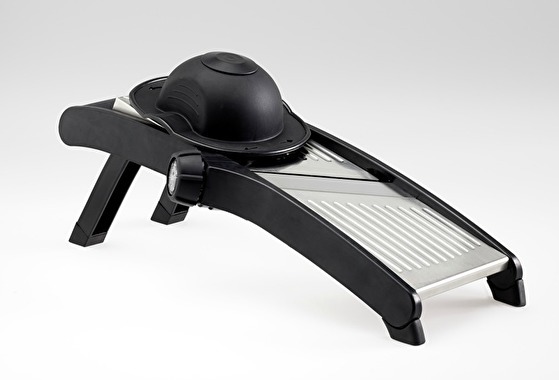 Food holder guard for maximum safety.